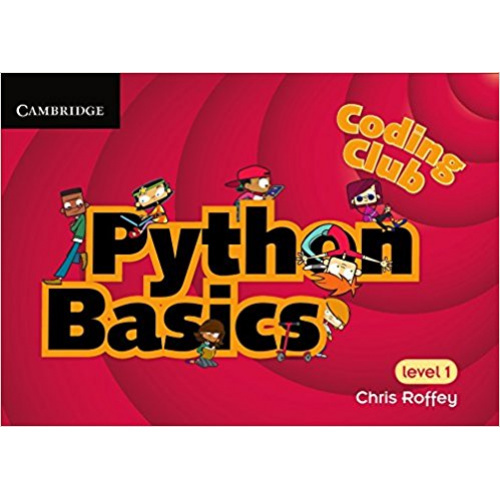 The programming language Python 3 is used to introduce the principles of programming. In this book you learn how to write simple programs that include My8Ball, a number guessing game and a small graphical application called MyEtchASketch. More importantly, by the end of the book, you should be able to write your own short programs and be able to fully customise both the look and how the various programs you have made to your own liking. >>> Meet the programming language you are going to learn about. >>> Meet IDLE which will help organise and run your code easily. >>> Check that your computer is set up correctly. >>> Write and run your first program. >>> Learn how to do some more with texts. >>> Get Python to do some maths for you. >>> Learn about how loops work. >>> Learn lots of useful operators. >>> Write and save a Python file using Script Mode. >>> Learn how to write clear readable code. >>> Run a Python file. >>> Learn about how to get user input. >>> Learn about if and else clauses. >>> Write a short game called MyMagic8Ball. >>> Learn about functions . >>> Write your own functions. >>> Create a number guessing game. >>> Learn how to use the tkinter library. >>> Make your own Etch A Sketch game. >>> Learn how to put an application in its own window. >>> Learn how to attach functions to keyboard presses. Click below to find the answers to the puzzles and challenges in Python Basics.